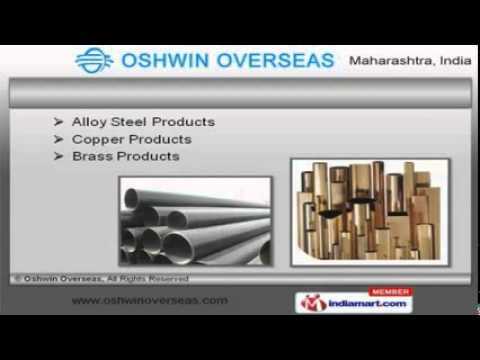 Welcome to Oshwin Overseas, Manufacturer and Exporter of Ferrous and Non Ferrous Metals. We are an ISO 9001:2008 certified company, incepted in 2009 at Mumbai. Sound infrastructural facility and Good financial position make us different from others. Experienced RandD department, large production capacity and Flexible payment options are the plus points of our organization. We offer a wide assortment of Inconel, Hastelloy and Stainless Steel Products. Our Duplex Steel and Nickel Products are reckoned all over the world for their superb quality. We offer Alloy Steel, Copper and Brass Products that are available at industry leading prices. Tubes Fittings and Industrial Flanges offered by us are best in the industry amongst others. Along with that we offer Forged Fittings, Pipes and Tubes that are a class apart. We also provide Steel Fasteners for Sanitary and Steel Pipes for Kitchens that are some of our best selling products.